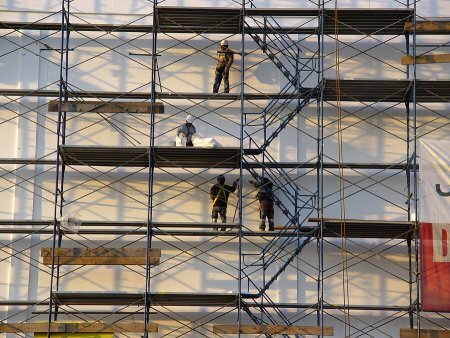 Scaffolding systems can cause serious accidents and injuries when they are not installed correctly. In this video, you will learn some essential safety guidelines that will help you install and use a pump-jack scaffold safely. By renting the correct equipment and following the manufacturer’s instructions for assembly, you can make sure that your system is safe for all of your workers to use. 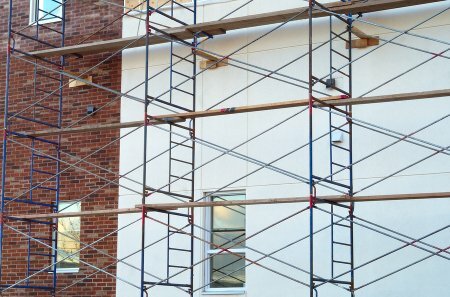 At Scaffold Resource, we can help you safely erect and use your scaffolding rental serving Washington, D.C. With more than twenty years of experience in the scaffold industry, we have the knowledge and equipment needed to help you use your scaffold rental safely. To learn more about our quality scaffold services, give us a call at (301) 924-7223. A scaffold platform should provide workers with a safe surface upon which to stand and perform their duties on the jobsite. When you are getting ready for a scaffolding rental, it is important to talk to your scaffold technicians about the importance of choosing scaffold planks that are in compliance with OSHA regulations. Here is a closer look at some of the factors that OSHA has outlined for scaffold work planks. One of the most essential considerations when you are choosing lumber for your scaffold planks is your lumber grade. Lumber that is low grade will be too flimsy to support the weight of workers and their tools and materials. While the lumber does not have to be officially stamped with its grade, it must meet minimum standards for rings, grain slope, and overall condition. Paying attention to your lumber grade can help you remain OSHA compliant with your scaffold construction. Along with selecting lumber that is of an appropriate grade, you will also need to make sure that the wood that you are using is in good condition for its intended purpose. Wood that is used for scaffold planks must show no signs of splitting, surface cracks, or other visible damage. A final consideration that you will need to make for your scaffold planks is the length of their span. The span of a scaffold plank is a unit that measures the distance between load-bearing supports. For example, if a maximum load of 25 pounds per square foot is anticipated, the lumber must have a span that reaches no further than ten feet. To make sure that your scaffold planks are in compliance with OSHA regulations, be sure to work with Scaffold Resource. We offer top quality scaffold rentals near Washington, D.C., and we can answer any questions that you may have about compliance standards for your scaffold erection. Call us at (301) 924-7223 to learn more about all of the scaffold equipment that we have to offer for your jobsite. During a major construction or renovation project, it may be necessary to erect a shoring system or dig trenching around a property. In order to remain compliant with OSHA regulations, you will want to make sure that you conduct a thorough assessment and classification of the soil that is found on your site. To help you prepare for a potential OSHA inspection, here is a look at some trenching and shoring soil classifications as outlined by OSHA. Obtaining a proper structural classification for the soil on your jobsite is one of the first steps of any soil evaluation procedure. Soil can be classified as granular, cohesive, or granular cohesionless in nature. While granular soil contains up to fifteen percent silt and clay in its makeup, cohesive soil is made up than less than fifteen percent of silt or clay materials. After the soil’s structural classification has been completed, it can be categorized into relative types. Granular soil is classified as Type C soil, whereas granular cohesionless soil falls under the Type B classification. The primary classification of a soil’s type will give engineers and workers a better idea of its plasticity and structural support requirements. When you are performing a classification procedure for soil on your jobsite, you will also need to complete a textural classification analysis. Soil that contains a higher percentage of clay is classified as having a cohesive texture. Larger amounts of sand or gravel will cause a soil sample to fall under the granular textural classification. If you need help classifying soil prior to a shoring erection near Washington, D.C., the team at Scaffold Resource will be there to assist you. Our experts specialize in building shoring system that are stable and durable, and we will help you make sure that your shoring is properly adjusted to your soil classification. Call us at (301) 924-7223 to schedule a consultation for your upcoming shoring system erection. When you are in need of a durable shoring system installation for your renovation project, get in contact with Scaffold Resource. Our customers throughout the Washington, D.C. area trust us for all of their shoring and scaffold needs. There are a few reasons to choose our company for your shoring equipment rental. We comply with the strictest safety standards, so you can rest assured that your shoring will be safe for your workers to use. Our company also has many years of experience in the industry, so we can help you tailor your shoring system to the needs and dimensions of your building. For answers to your questions about shoring and scaffolding rental serving Washington, D.C., contact Scaffold Resource by calling (301) 924-7223. 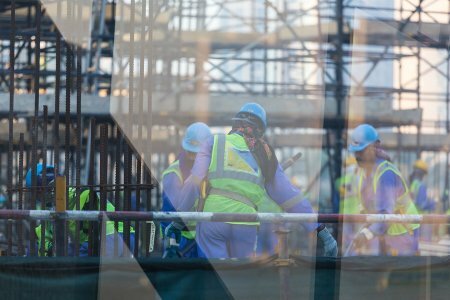 Whether you are seeking a construction scaffold or shoring for a renovation procedure , our experienced team will be able to assist you. We have helped our happy customers with all of their shoring erection needs. If you work in the construction industry, it is very important to make sure that your jobs remain organized and on schedule. 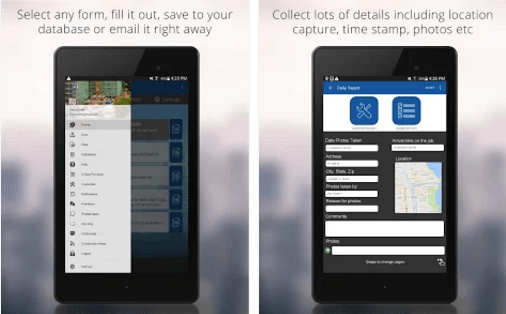 The Construction Manager App from Snappii provides construction industry professionals with the tools that they need to keep detailed logs, create estimates, and track progress on each step of a project. With this app, you can also estimate scaffolding rental dimensions and perform other important calculations. For additional information about scaffolding rental serving Washington, D.C., do not hesitate to contact Scaffold Resource . Our top rated company specializes in construction scaffolding, and we will be thrilled to tell you more about our scaffold resources. Call us at (301) 924-7223 to receive an estimate for your next scaffold rental.